This concert celebrates Viennese composers from the 18th, 19th, and 20th centuries. UNLV music professor and violinist Ambroise Aubrun. Join us for the opening concert of the UNLV Chamber Music Society — A Night in Vienna — at 7:30 p.m. Thursday, Sept. 20. This concert celebrates Viennese composers from the 18th, 19th, and 20th centuries. 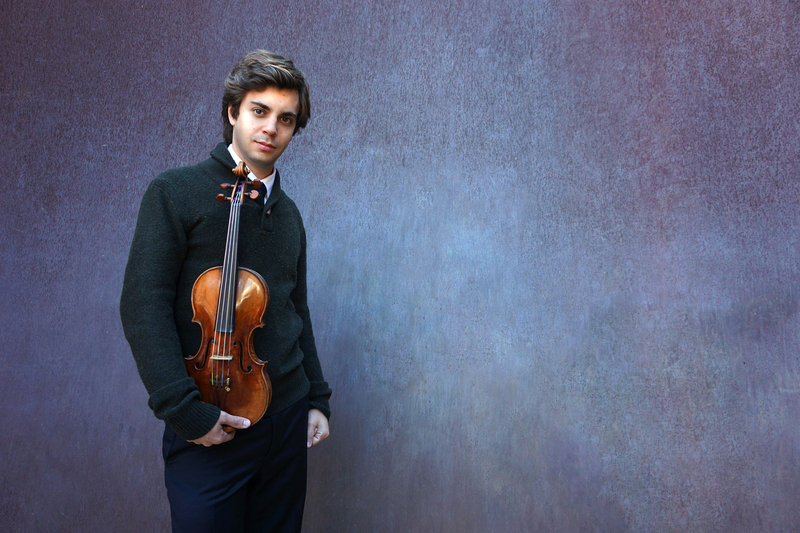 Musicians performing include newly appointed assistant professor of violin Ambroise Aubrun in his debut concert as a UNLV faculty member and other members of the UNLV School of Music faculty. Wolfgang Amadeus Mozart - "Violin Sonata No. 36 in F major, KV 547"
Arnold Schoenberg - "Ode to Napoleon, Op. 41"
Johannes Brahms - "Piano Quintet in F minor, Op. 34"
Wei-Wei Le, Ambroise Aubrun, violin; Kate Hamilton, viola; Andrew Smith, cello; Tod Fitzpatrick, baritone; Timothy Hoft, Mykola Suk, piano. Tickets to An Evening with A Night in Vienna are $25 and can be purchased online or by calling at the Performing Arts Center box office at 702-895-ARTS (2787). Student rush tickets are $5 each and available one hour prior to each event with valid student I.D. UNLV faculty and staff discounts also are available. The box office is open from 10 a.m. to 6 p.m. Monday through Friday and 10 a.m. to 4 p.m. Saturday. Information about all of the season's performances can be found on the Performing Arts Center website.